Mitt Romney’s description of a great America does not include wage gains for Americans, marking a huge contrast with President Donald Trump’s celebration of rising wages in his go-go economy. 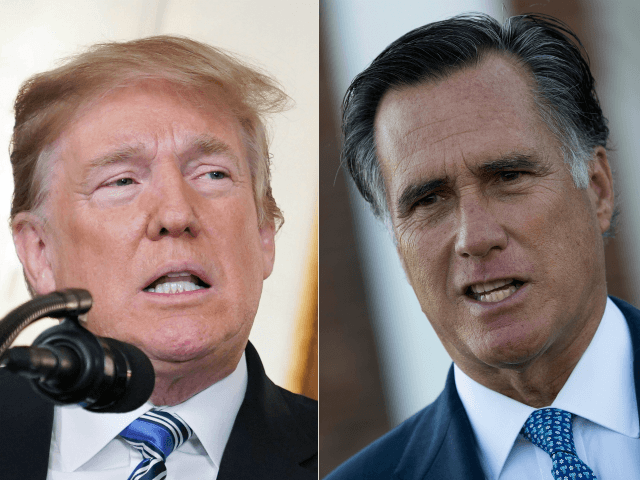 Romney, a former investor, governor and failed GOP presidential candidate, is expected to become a leader in the GOP’s business-first win when he is sworn in as a Utah Sen. on Thursday. noble instincts live in the hearts of Americans. The people of this great land will eschew the politics of anger and fear if they are summoned to the responsibility by leaders in homes, in churches, in schools, in businesses, in government — who raise our sights and respect the dignity of every child of God — the ideal that is the essence of America. Romney’s globalist view ignores Trump’s success at raising Americans’ wages. Trump’s success has partly come from his zig-zag rejection of corporate pleas for a bigger flood of imported white collar and blue collar workers. We need, however, a border, If you don’t have a border, you don’t have a country. we don’t want drug traffickers, or human traffickers, or illegal people with criminal records.